New York-based concert promoter Bowery Presents has purchased the building that housed the legendary Philadelphia music venue the Electric Factory since 1995. The concerts will continue at the Northern Liberties location, but it will no longer be known as the Electric Factory. Live Nation, which owns the trademarks and logos, did not offer the intellectual property rights to the iconic brand in the deal. You may notice that the Ben Franklin head is now missing from a top the building near 7th and Callowhill. Bowery Presents is temporarily calling the place "North Seventh." They are having a naming contest open to the public. The winner will not only have named a major venue in the city, but will receive tickets to every show through 2020. You can enter the contest on their website: http://www.northseventhphilly.com/#contest. Bowery is already involved in other Philadelphia venues including Union Transfer, Boot and Saddle, and the Mann Center. "The Bowery Presents, the leading concert promotion and venue management company in the Northeast, announced today the acquisition of Electric Factory in Northern Liberties, further expanding its venue presence in Philadelphia. The Bowery Presents aims to honor the history and preserve the soul of the venue by maintaining its current aesthetic and continuing to book top-tier acts, with no disruptions in existing programming. Use of the legendary Electric Factory name has been refused by Live Nation, the owners of the venue's trademark and logos. As such, The Bowery Presents has temporarily named the venue "North Seventh" and turns to Philadelphia's robust music community to crowdsource a permanent new moniker. A public naming contest will accept submissions now through September 30, 2018. The winner will receive two complimentary tickets to every show at the venue through 2020. For more information and to submit an entry to the naming contest, visit NorthSeventhPhilly.com. The Bowery Presents first entered Philadelphia through a valued partnership with R5 Productions, together opening Union Transfer in 2011 and Boot & Saddle in 2013. Following a 2016 merger with AEG Presents, The Bowery Presents expanded its reach to the Mann Center for the Performing Arts, Keswick Theatre and Underground Arts, among other area venues through a mix of ownership and booking agreements. Through this recent acquisition, the 2,700 capacity "North Seventh" joins The Bowery Presents' family of venues in Philadelphia ranging from 150 to 14,000 capacity. 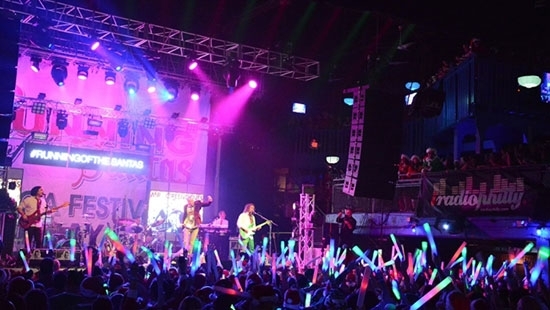 "Since opening, the Electric Factory has been a cornerstone of the city's music scene. We see this an amazing opportunity to build on the venue's great legacy and write a new chapter," said Bryan Dilworth, The Bowery Presents Philadelphia buyer and veteran of 24 years at the venue. "The Bowery Presents is thrilled to welcome this truly historic location to our family in Philadelphia," said Jim Glancy, partner at The Bowery Presents. "The Bowery Presents has earned a reputation of developing artists and offering fans amazing live music experiences from small to large venues, and this addition of North Seventh to our growing family will be exciting for artists and fans alike." The Electric Factory first opened its doors in 1968 at 22nd and Arch Street, and quickly became a staple of live music performance in Philadelphia. In 1995, the venue re-opened at its current location under the ownership of Larry Magid and Adam Spivak, who led the venue through a successful 24-year run of performances by musical greats from across genres and generations. Most recently, The Bowery Presents booked acts including Thom Yorke of Radiohead, Greta Van Fleet, MGMT, and Matt and Kim at the venue. A full listing of upcoming events can be found at BoweryPhilly.com."